Looking to schedule a single day event? Come out and enjoy Cedar Grove Retreat! Rent Cedar Grove for just $15/person for a half day (35 person minimum), $30/person for a full day (35 person minimum). This includes meeting space, dining hall, picnic areas and recreation facilities. To add additional programming such as our challenge course, paintball or water park, please see prices below. Meals can also be added for $9/person/meal. 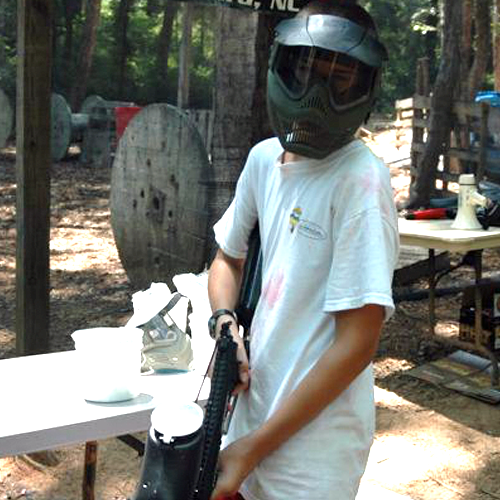 Come for the day and enjoy playing paintball at Cedar Grove. Get ready for hours of fun with your group on our paintball course. Includes: 2 Hours of Play, Game Referee, 500 Paintballs, Paintball Marker, and Face Mask. You may purchase additional paintballs for $10.00/bag. Field Paint Only. 15-Person Minimum. 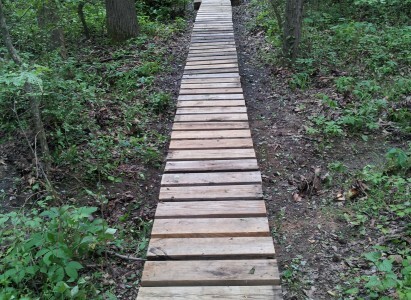 We’ve got a ropes course for you. 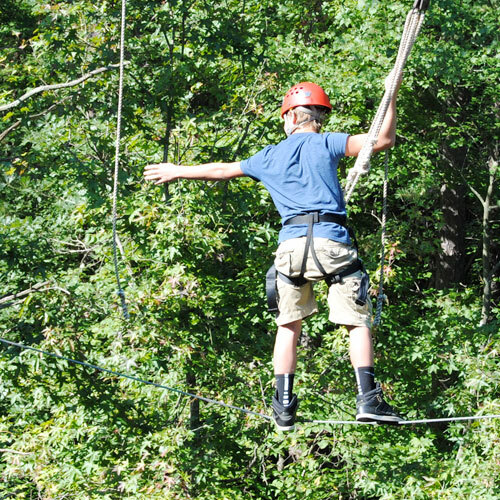 With both a high ropes and low ropes course, your day on the ropes is awaiting you at Cedar Grove. Bring your group for an afternoon of fun on the Water Park. 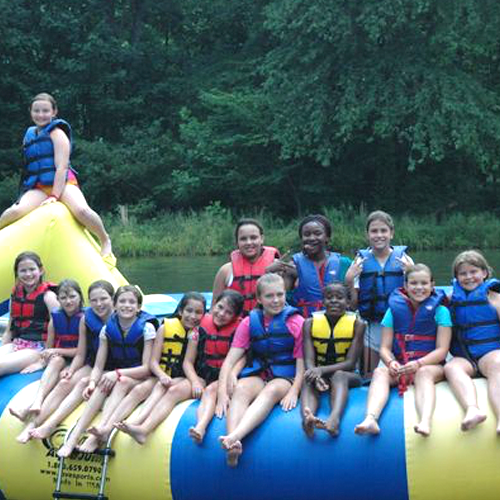 We’ve got water trampolines, slides, inflatable water toys, and more! Note: This price is a flat rate, not per person. There is a 2-hour minimum on water park rental. Water Park is open mid May – mid October. Fun is Waiting. Book Your Day Trip Today! Cedar Grove is committed to the education of the next generation. Our educational philosophy is rooted in experiential learning, so we focus on the process of discovery through facilitated debriefing sessions to help draw out lessons from activities and experiences. Topics include life cycle of plants and trees, water exploration, ecosystem, weather, pollution, food chain, team building, first aid, and outdoor safety/preparedness. We provide unique field trip ideas, after-school programming and a creative alternative to traditional P.E., Cedar Grove can design a custom experience for your group that is educational, safe, and fun for everyone. We can help you create a fun & supportive environment that can lead to personal confidence, increased group cohesion, and a great school year! The base price is $15 per student for up to 4 topics, additional classes cost $3 per student. Teachers and chaperons are not charged to attend. Picnic areas and dining hall are available for meal times. Lunch is not included but can be added for $8 per person. 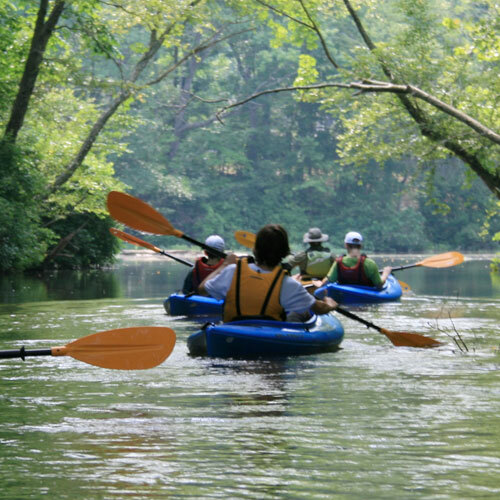 Team up with the experienced Cedar Grove staff and let us take lead your group on a local outdoor adventure. All prices are per person unless otherwise noted and subject to change. The southeast offers nearly limitless hiking through some of the most incredible terrain imaginable. Getting our on the trail is a great way to share an experience, explore new areas and provide an opportunity for solitude and freedom from distraction. Our staff can provide groups with knowledge about local history, natural resource and we can even bring along some group initiative activities. Excursions are led by trained Cedar Grove Facilitators. Transportation to and from site provided by guest, travel time approximately 30 minutes. There is a 10 person minimum 15 person max. 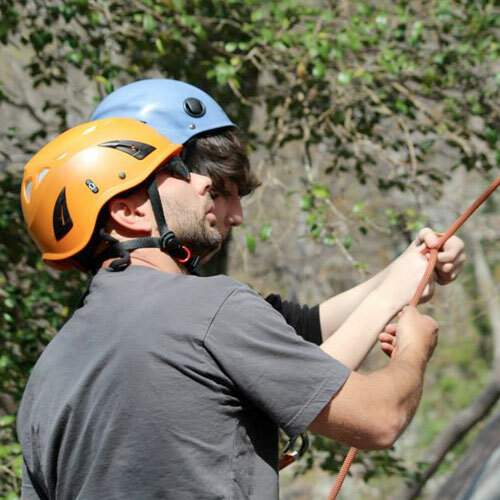 Rock climbing is an exciting activity to challenge and motivate even the most adventurous group. Rock climbing promotes mental, physical, and emotional self-awareness on the part of the participant to safely overcome fear, problem solve, and effectively communicate with teammates. We provide all necessary equipment and instruction. Climbing is facilitated by trained Cedar Grove Staff. Transportation to and from site provided by guest. The travel time is approximately 50 minutes. There is a 10 person minimum 20 person maximum. 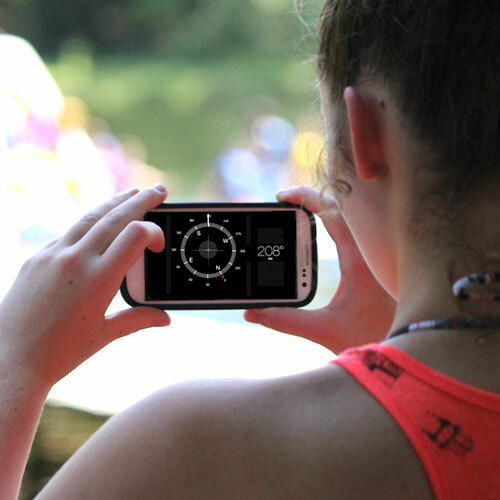 Geocaching is the real-world treasure hunt that’s happening right now, all around you. There are 2,500,085 active geocaches and over 6 million geocachers worldwide. Using GPS-enabled devices, participants navigate to a specific set of GPS coordinates and then attempt to find the geocache ( Usually a container) hidden at that location. The geocaching will be facilitated by a trained Cedar Grove staff member. Transportation to and from site provided by guest. The travel time is approximately 50 minutes. There is a 10 person minimum 20 person maximum. 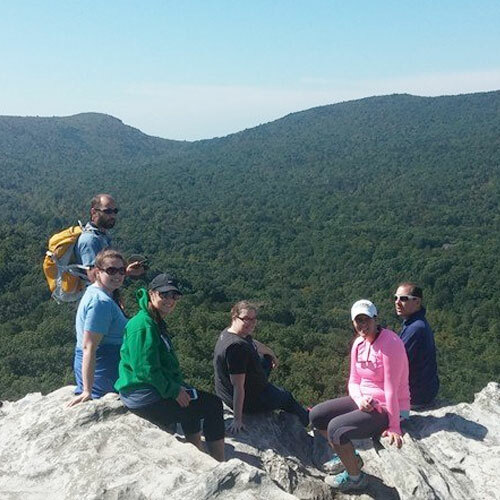 Book Your Off-site Day Trip Today!